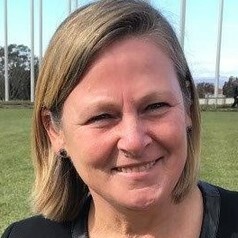 Professor Bennett graduated with first class Honours in Behavioural Science and followed this with a Master of Clinical Neuropsychology from La Trobe University and a PhD from Monash. She is currently working as Head of the Department of Psychology and Counselling at La Trobe University. Professor Bennett introduced to Australia the field of Anthrozoology - the study of human-animal relationships. She is a Fellow of the International Society for Anthrozoology and previous served as President of this society. She is also Associate Editor for the leading scientific journal in the field, Anthrozoös. She loves learning about new things and is absolutely fascinated by the fact that most of us open our homes and hearts to one or more members of another species. She is also fascinated by the fact that they seem to love us back. This seems like one of the great mysteries of modern life.